Sven Kacirek, the much praised multi- instrumentalist from Hamburg, releases his third album with Pingipung. Scarlet Pitch Dreams presents intimate solo works, following his debut The Palmin Sessions (2007) and the international success The Kenya Sessions (2011), which was honored with German Record Critic’s Award for the second quarter 2011. Whilst The Kenya Sessions revealed fruitful collaborations with Kenyan musicians, almost every single instrument on Scarlet Pitch Dreams has been played, recorded and produced by Sven Kacirek himself. 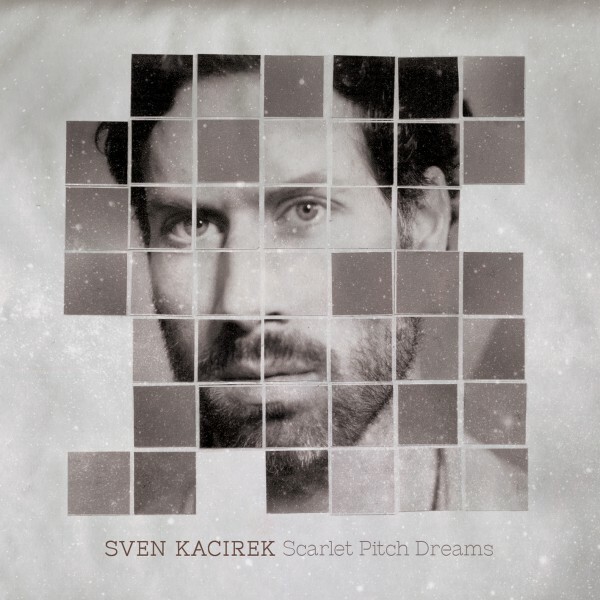 Within these dreamy sceances of percussive virtuosity, Sven Kacirek has effortlessly found his original sound – from the first whirring of the prepared grand in the opener to the massively rolling drumset crescendo in the last track. Jazzbrush patterns define Sven Kacirek‘s sonic identity. They create beat structures on wood, glass, and paper which sound like digital sampler tweakings – but they are not. “For the previous records I had been led by the production process in the first place, cutting loops, use of FX and so on. But here, everything has been written down in notation first, and has then been properly recorded“, Sven Kacirek says. The eleven tracks burst with sonic details and never dwell on aimless repetition, they are tied together with wide melodic archings, and at times they sound like a classical jazz recording, at times they show their influences from dub techno and clicks & cuts.